I wanted to thank you for the feedback when I asked if you'd still come here if I didn't have nail polish pictures anymore due to the impending ban at my work. There was one who said they wouldn't, which I get. This is supposed to be a nail polish blog and without it, I get that some people won't come back. Since the ban hasn't happened yet, I honestly don't know what I will do. I might be too lazy to polish just to take it right back off. I did however, find the holy grail matte top coat to trick them at work into thinking I have naked nails. I have it on now and it's genius. It's from Oceans of Beauty where I get my clear dip gel from. My code FPM20 is still active, so if you haven't used it yet, you still can. I will be getting back ups of this matte top coat for sure. I finally transferred all my music from my 3GS iphone to my new 7+ iphone. I figure since I have 128GB I should use it! Listening to it in the car, there are pros and cons. First of all the sound quality is amazing. I had no idea the 3GS ruined the sound quality. Then there is the issue that I can't get it to play as loud as I would want. It's already maxed out at 30 and I've got it on 25-26 most of the time. I have tried both using Bluetooth as well as the USB cord. The only difference is the way it shows on my display. I prefer the display with the cord, but then my phone doesn't fit in the little space without bending the cord. The one thing I cannot stand is when a text message comes through it is loud as hell. I mean jump out of your skin scary loud as I have the music so loud. I'm not about to turn that off every time I get into the car. I had hoped that by using the USB and ipod setting, this wouldn't happen, but it did. I do love the sound quality though. But I haven't decided if the other cons outweigh this one pro. I've also been downloading apps like a mad man. Again, I have all this space and I've decided I'm going to use it! I'm not a gamer person, so these are for life stuff. Helping with your finances and saving and telling you where your money is going each month sort of things. A couple of journal apps, but haven't done those yet. If you know any good help with your life apps, please let me know! Or just any good apps, let me know! All right. 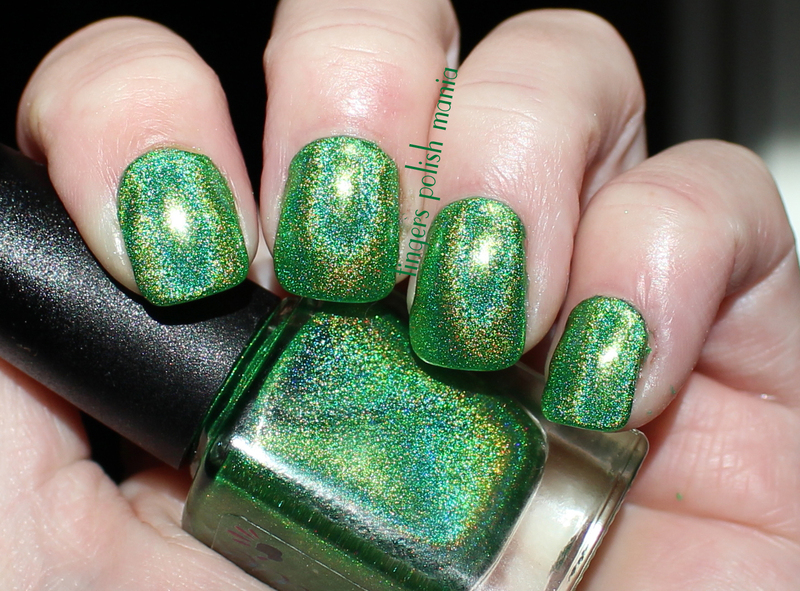 Today we have one of my top favorite green polish. It is CbL Gemini Rising. Damn that's a pretty one don't you think?